View a print-friendly PDF of this page. Varicose veins are swollen dilated veins, which visibly bulge under the skin of the legs when standing. They are blue or dark purple in color, appear twisted and are larger than 3-mm in diameter. Varicose veins develop due to weakness of the vein wall and valves that no longer work. 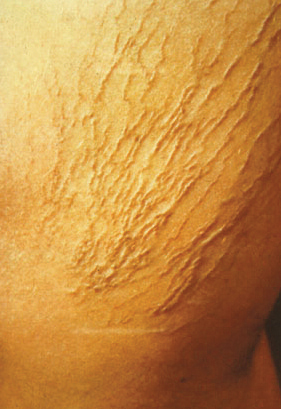 Varicose veins commonly occur and increase after successive pregnancies in susceptible women. They can be hereditary when male members of the family are also affected. Defective valves worsen the condition because of build-up of pressure of the blood in the leg, leading to venous hypertension or high blood pressure in the vein. This may result in enlargement of the varicose veins and an increased likelihood of other symptoms such as swelling, skin changes and ulcers at the ankles or lower leg. Valve failure and venous reflux can also occur in the veins that are unseen, such as the saphenous veins (which run from the foot to the thigh) or in the deep veins. 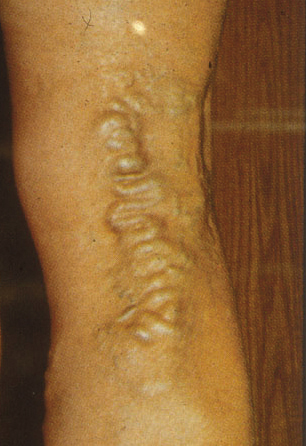 Reflux in these veins is often associated with painful varicose veins. Venous reflux is a condition that is progressive. If left untreated, it can gradually worsen and cause more advanced symptoms of CVD. Spider veins and reticular veins are sometimes mistaken for varicose veins. They rarely cause symptoms such as local pain but are usually only cosmetic. Spider veins are tiny dilated veins that sit closer to the surface of the skin. They are easy to see, but cannot be felt. 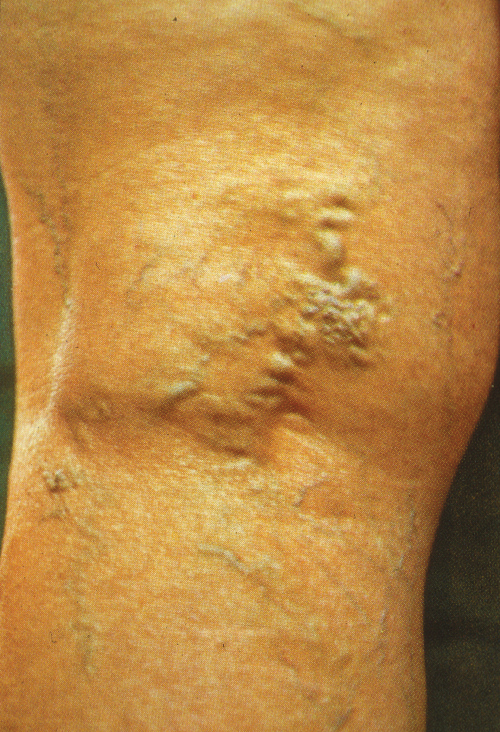 Reticular veins are bluish, larger than spider veins and smaller than varicose veins. Complaints of spider veins are nearly exclusive to women though they occur also in men. It is estimated that at least 20 to 25 million Americans have varicose veins. Varicose veins may not cause any symptoms at all. Symptoms, when they occur, include ankle and leg swelling, heaviness or fullness, tiredness, aching, restlessness, fatigue, pains, cramps and itching. If these symptoms are present, a thorough examination of the legs by a vascular specialist using an ultrasound scan can confirm the diagnosis and help determine the cause of the problem. Treatment of varicose veins may be conservative, minimally invasive or invasive, depending on the extent of the varicosity and the specific veins involved. Treatment of asymptomatic (cosmetic) varicose veins is generally not reimbursed by the insurance company. Most insurance companies require a 3-6 months trial of conservative treatment such as compression therapy with below knee graduated stockings (20-30mmHg). If the stockings do not help or for other reasons cannot be worn, it is possible to proceed with additional treatment. Sclerotherapy is an injection of medication that eliminates the unsightly skin veins. This treatment works best on spider veins. 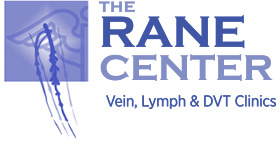 Vein stripping is an outpatient procedure in which the saphenous vein is stripped (removed). Laser treatment uses a fine optical fiber to heat up the saphenous vein and cause the vein tissue to seal shut. Radio-frequency (RF) treatment involves controlled delivery of radio-frequency energy by a small catheter causing the vein to close. Mini-phlebectomy (stab avulsions) is used to remove varicose veins outside the main vein through a 1-mm incision with a small hook. The small scars usually disappear after a few months. All procedures for varicose veins are performed as out-patient procedures and the recovery time is very short, allowing return to full activity immediately. Be active and exercise regularly! Keep your blood pressure under control! Wear your prescription compression stockings as specified by your doctor! For temporary relief, lie down and raise your legs at least 6 inches above the level of your heart. Hold this position for 10 minutes a few times each day.